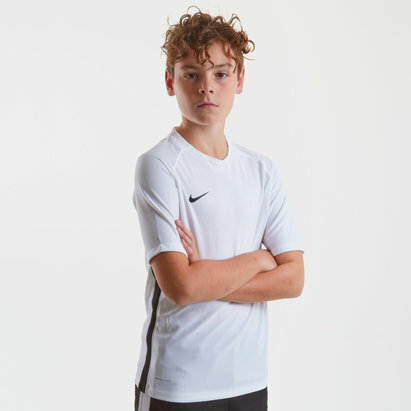 Keep your child dry and refreshed as they train in style out on the pitch with the Nike Academy Graphic Kids S/S Training T-Shirt in White and Black. 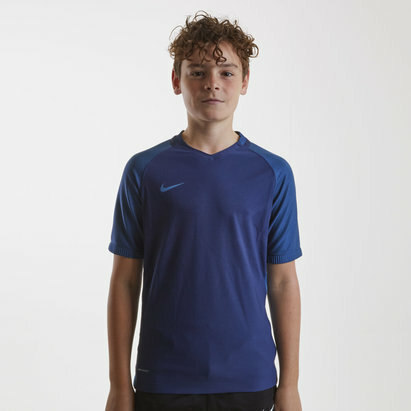 This children's short sleeved training t-shirt from Nike has a plain yet stylish design and includes a large Swoosh printed on the front. 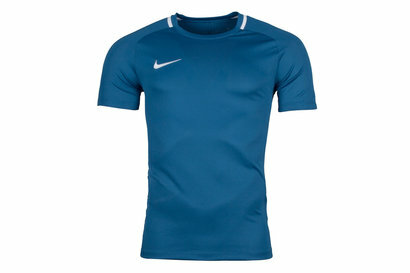 Made from polyester material, Dri-Fit technology within this tee helps keep the wearer feeling drier and more refreshed by wicking sweat away from the skin and quickly drying off. Bringing a cooling effect too, ventilated mesh sleeve stripes adds breathability and improved air circulation. 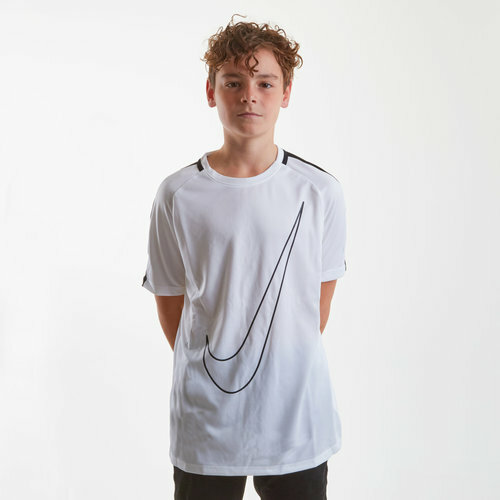 Fully optimised for training yet also stylish enough to pull off as part of an off-field look, keep your child's cool with the Nike Dry Academy Graphic Kids S/S Training T-Shirt.